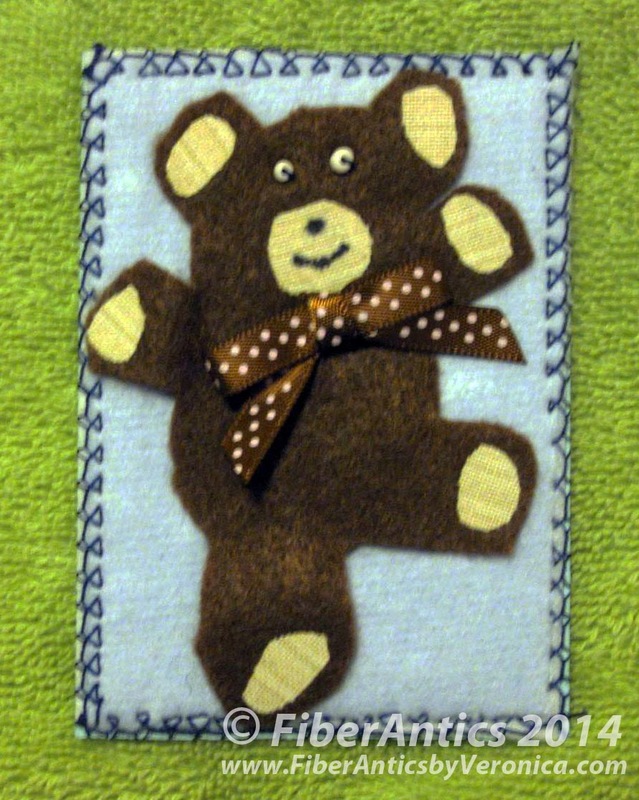 "Sleep Aids—Teddy Bear and Blankie"
Dancing, polar, Teddy, panda—and just about every other classification of bear was represented in the January 2014 Artist Trading Card (ATC) swap. After last week's bone-chilling cold temperatures and hazardous blizzard-like weather conditions here in the southeast, the cute fuzzy faces on these ATCs were a welcome sight. You just have to smile! 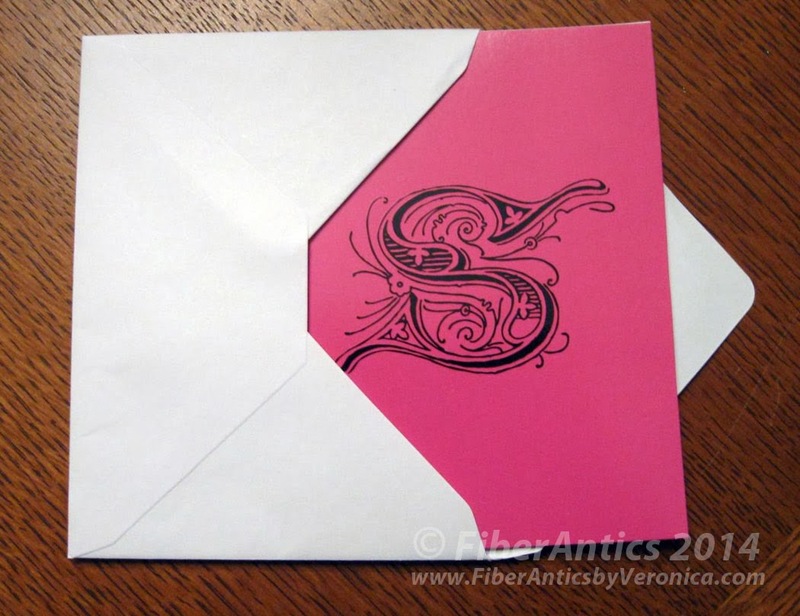 Although you don't see the backs of these cards, many of the ATC artists include additional information on the back—either about the materials or techniques they used, or information and interesting tidbits relating to the swap's theme. 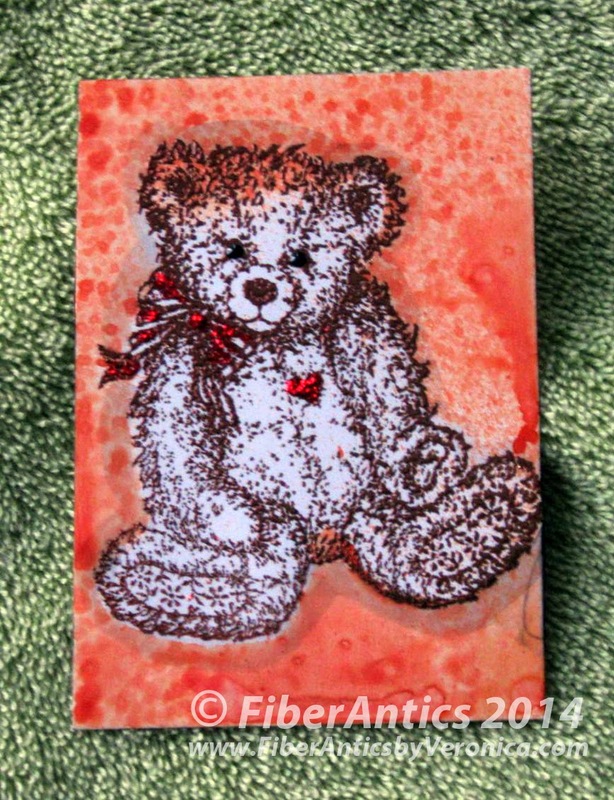 So, along with the delightful and creative "eye candy," ATCs offer an educational experience as well. 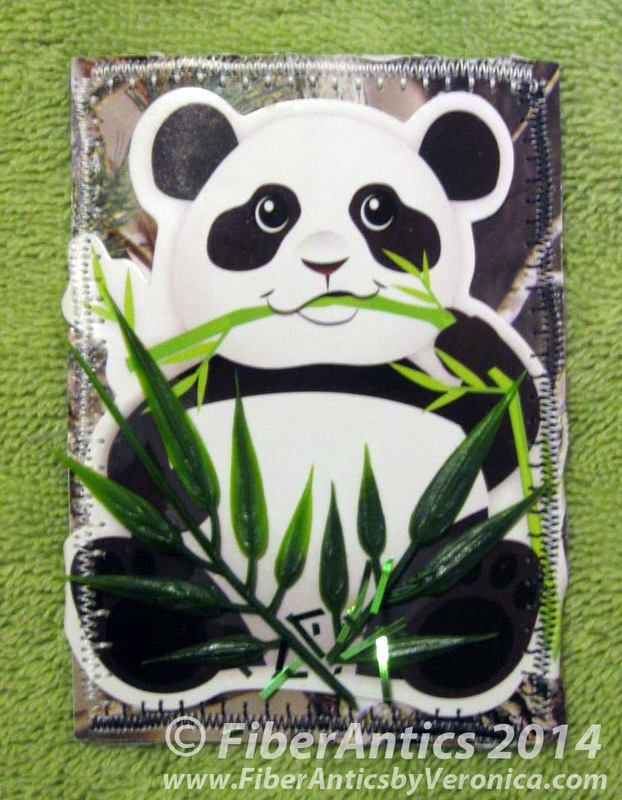 Did you know that pandas consume 20 to 40 pounds of bamboo a day within a 16 hour period? They also have and extra digit on each hand to help them tear the bamboo. "Polar Bear" by Karen Downer. 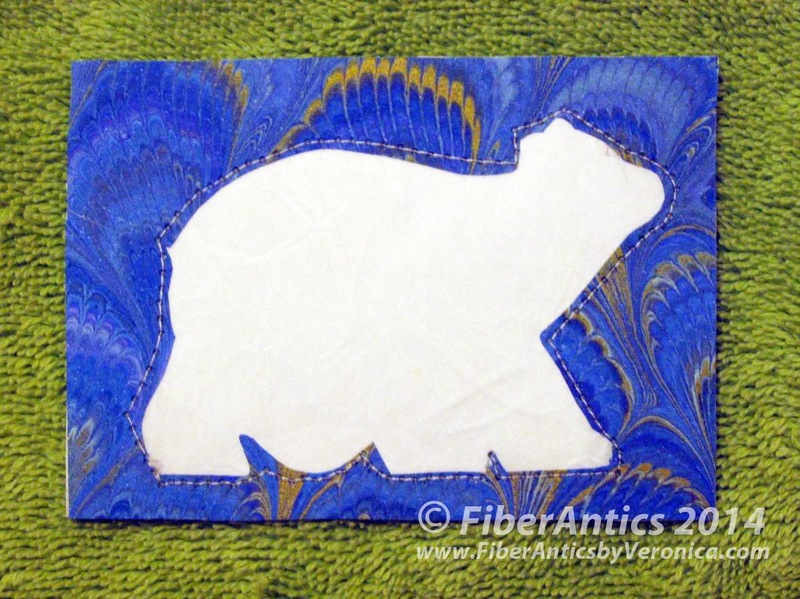 The technique used on this polar bear is reverse appliqué with marbled and textured papers. The Celestial Seasonings tea manufacturer is environmentally conscious. 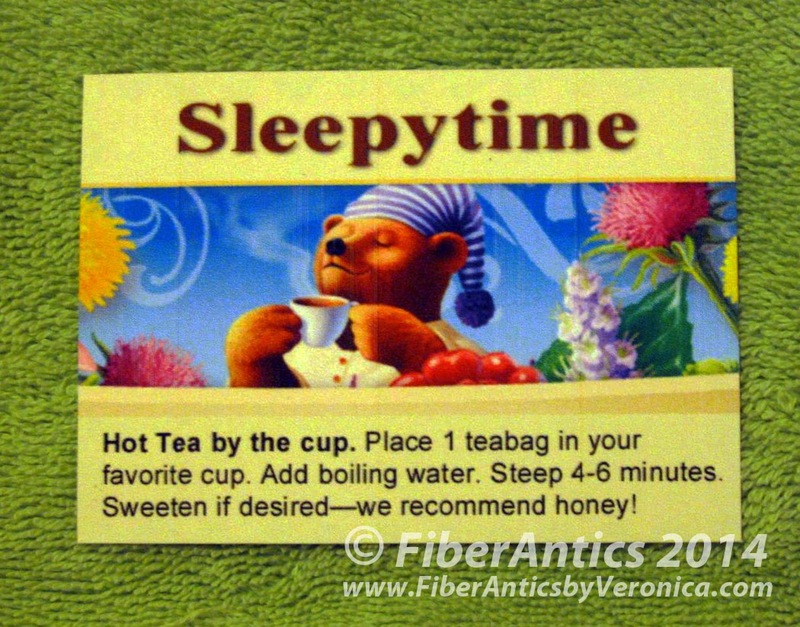 The pillow-style tea bag doesn't have a sting, tag, staple of individual wrapping. The bags are chlorine-free, biodegradable and compostable. I enjoy a hot cup in a favorite mug. Can you figure out this rebus word puzzle? 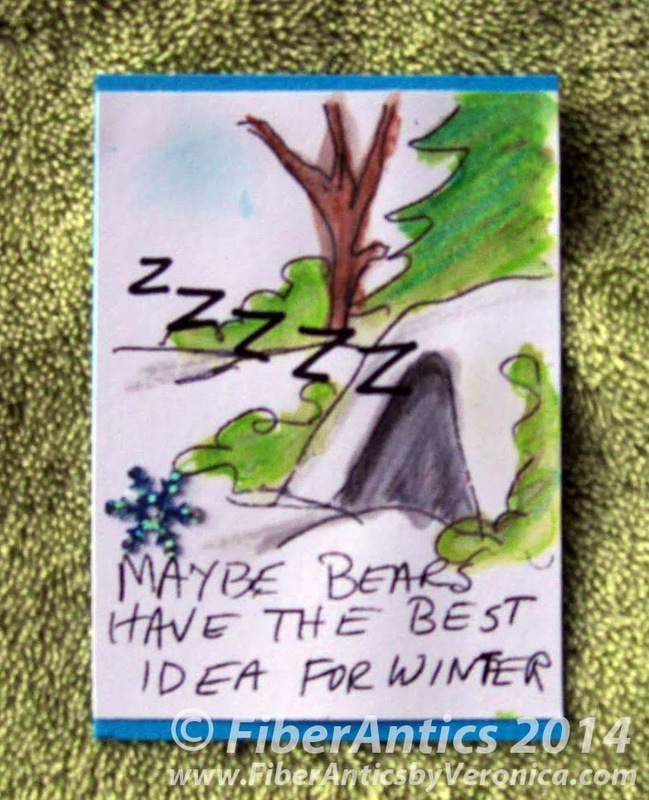 Zzzzz… bears do have the right idea for winter! 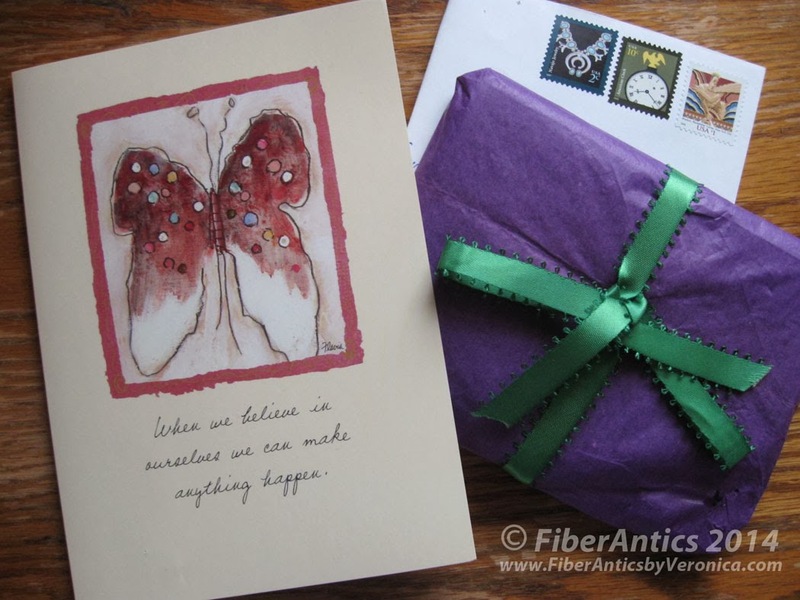 I also received two pretty cards this month from swap participants. 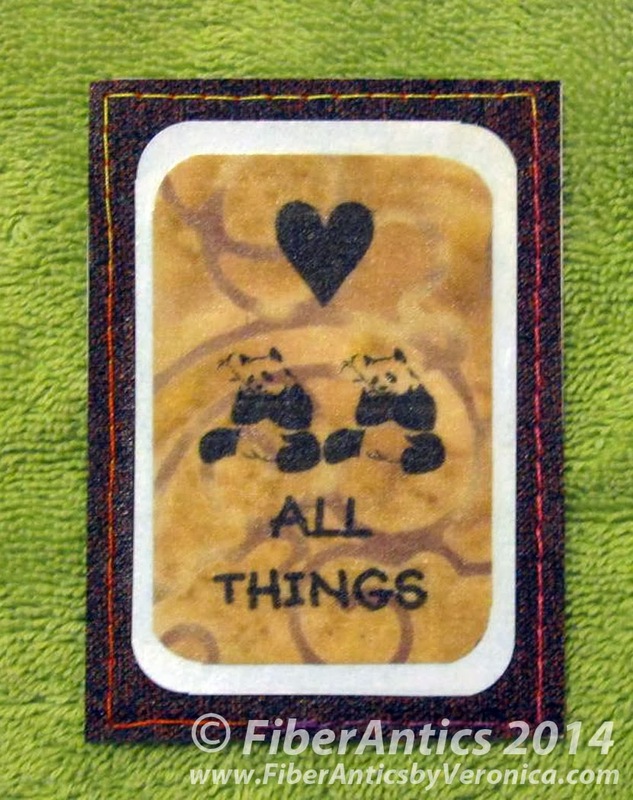 Card: "When we believe in ourselves we can make anything happen." 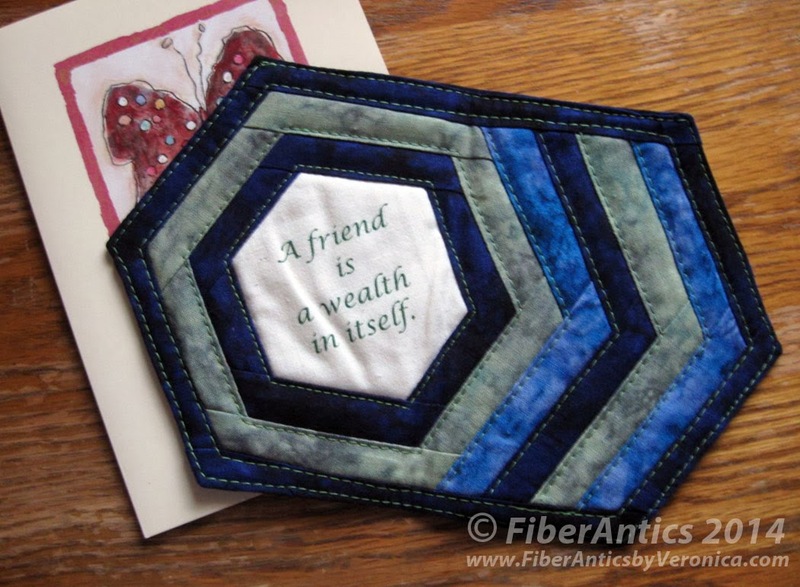 A beautiful, quilted mug rug from Linda! Oh, is it too pretty to use? But it's perfect for my cup of tea! Thank you so much!!! You are so kind.